If you're looking for a great compact crossover SUV for the streets of Virgina Beach and the highways of Virginia, look no further than the new 2019 Kia Sportage, available in LX, EX and SX Turbo. 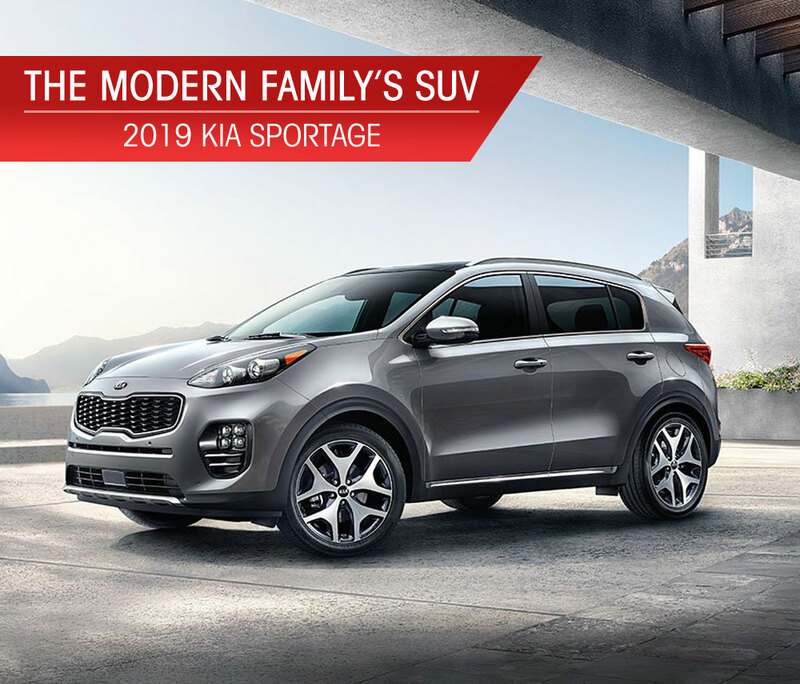 Experience the all-new 2019 Kia Sportage today at Southern Kia Lynnhaven! There's a reason more and more Virginia Beach drivers are choosing the smart and spacious Kia Sportage from Southern Kia Lynnhaven.One of those reasons is undoubtedly its low starting price paired with its great standard features.Starting from under $24,000, the new 2019 Kia Sportage delivers the style, space and smart features you need to get around town and go the distance on the highways and beyond. The all-new 2019 Kia Sportage LX features a 5-inch infotainment touch screen display, but Virginia Beach drivers can easily upgrade this to a 7-inch touch screen with an available package.This touchscreen isn't just more generous in size, it also comes with Apple CarPlay™ and Android Auto™ compatibility for more entertainment on the road. Choose to upgrade further to the new 2019 Kia Sportage EX trim and choose an optional package that adds an additional USB port, an 8-inch infotainment system, plus a premium Harman/Kardon® audio system. The 2019 Kia Sportage comes with a choice of two powerful engines. The standard powertrain in the LX and EX features a 181 hp 2.4L I-4. Or upgrade to the Sportage SX Turbo and experience the power of the 240 hp 2.0L turbocharged DOHC I-4, which can produce up to 260 lb-ft of torque. And the best part? It achieves all this performance without ever compromising on handling or its impressive fuel-efficiency.The 2019 Sportage LX can deliver up to an EPA-estimated 30 MPG on the highways of Virginia, while the SX Turbo can manage up to 26 MPG HWY. Feel safe and secure behind the wheel of the new 2019 Kia Sportage.This new Kia SUV comes equipped with host of standard features even on its base trims to give you added peace of mind.Standard safety features like traction control, brake assist, ABS brakes, and an electronic stability system, 4-wheel disc brakes, a panic alarm, and a security system are all standard. Plus, dual front side impact airbags, overhead airbags, and an occupant sensing airbag work together to keep everyone safe in the event of a crash. The 2019 Kia Sportage also has a host of available and optional features for those wishing to upgrade.For example, the Sportage's LX and EX trims can be upgraded to include automatic emergency braking and blind spot monitoring. If that wasn't enough to make you feel secure, the previous model of the Kia Sportage is an IIHS Top Safety Pick for 2018.It also received 5 stars for overall safety from the NHTSA. That means that this year's 2019 model will likely receive the same ratings. Every new 2019 Kia Sportage from Southern Kia Lynnhaven also comes backed by the Southern Hospitality Buyers Program for even more savings. Buy or lease your new 2019 Sportage here and take advantage of all of these additional benefits at no extra cost! Test-Drive Your 2019 Kia Sportage At Southern Kia Lynnhaven! Ready to get behind the wheel?Get to Southern Kia Lynnhaven today and test drive the all-new 2019 Kia Sportage in your preferred trim! Stop by today and discover our lower prices and special incentives. Plus, don't forget to ask us about our low APR and quick and easy financing. We proudly serve drivers from Chesapeake, Norfolk, Newport News, Hampton, and Portsmouth areas!